I recently blogged about the using the ‘claims’ parameter of the subject item in a REST call for policy evaluation in OpenAM 13. (See http://yaunap.blogspot.co.uk/2016/07/fun-with-openam13-authz-policies-over.html). In that article I blithely stated that using the ‘ssoToken’ parameter was fairly obvious. However, I thought I’d take the time to explore this in a little more detail to ensure my understanding is complete. This is partly because I started thinking about OIDC JWT tokens, and the fact that OpenAM stateless sessions (nothing to do with OIDC) also use JWT tokens. Let’s first ensure we understand stateful and stateless sessions. Stateful sessions are your typical OpenAM session. When a user successfully authenticates with OpenAM they will establish a session. A Stateful session means that all the details about that session are held by the OpenAM server-side services. By default, this is ‘in-memory’, but can be persisted to an OpenDJ instances in order to support high-availability and scalability across geographically disperse datacentres. The client of the authentication request receives a session identifier, typically stored by a web application as a session cookie, that is passed back to the OpenAM servers so that the session details can be retrieved. It’s called ‘stateful’ because the server needs to maintain the state of the session. Basically, it’s just a unique key to the session state. OpenAM always prepends a fake stateful session identifier to this JWT for backwards compatibility. So, the actual JWT starts *after* the second asterisk (*). i.e. from the bit that begins eyAidH… right through to the end. 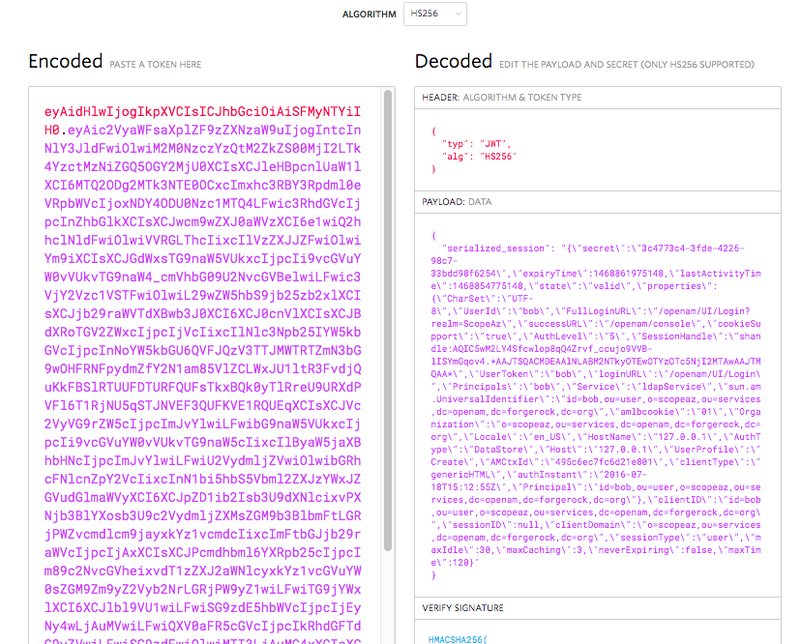 You can use tools like jwt.io and jwtinspector.io to unpack and read this JWT. Now, turning our attention to the policy evaluation REST calls we see that there is an option to use ‘ssoToken’ as a parameter to the ‘subject’ item. In a realm that uses the default ‘stateful’ sessions then any policy evaluation REST call that uses the ‘ssoToken’ parameter should use a stateful session identifier. The policy will then have full access to the session information as well the profile data of the user identified by the session. 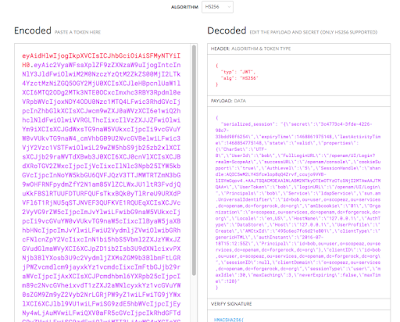 …and, in this specific case, that the authentication level for the ‘subject’ of the ssoToken is set to two or greater, as well as the ‘subject’ being a member of the the ‘api_order’ group in the datastore. Next up, we’ll look at using OIDC tokens in the subject parameter of the REST call. Kubernetes: Why won’t that deployment roll?